A long time ago, when I posted about the collective nouns for costuming I neglected to think of a collective noun for gloves. 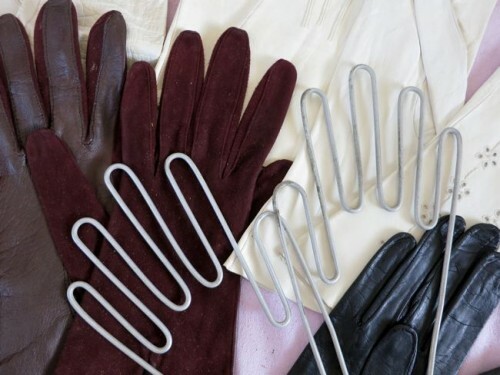 Surely though, a collection of gloves must be a romance of gloves. Is anything more romantic than a pair of vintage gloves? Slightly worn and shaped to the hands of the wearer, redolent with the memories of the events they were worn to, the hands that held them as they whirled round the room in a dance, the personages they met and shook gloves with, the memorable moments that accrued the slight stains and soil marks. A fan is a wonderful, beautiful thing, but a glove…ah…a glove was worn next to the skin, and touched the skin of others. It felt and caressed and gripped and saw everything. A glove is a personality. 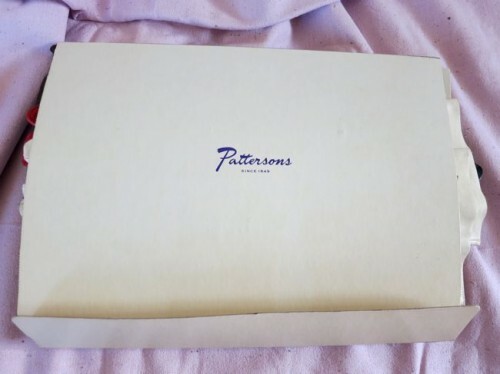 The wonderful, fabulous Elise, of all those gorgeous vintage dresses and capes, found another beautiful collection to send me: her great-grandmothers gloves. She suggested I might want to cut them up, but I only do that to very damaged, soiled, missing-their-partners storyless gloves. 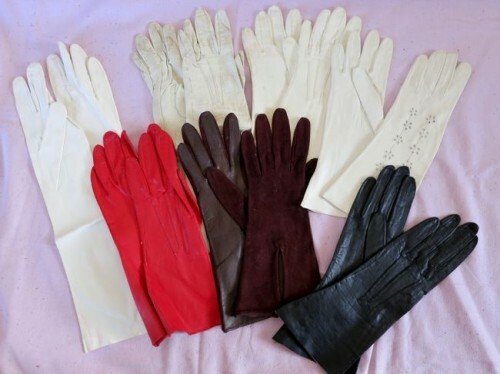 These gloves are staying as a collection: an evocation of one woman’s life. A story. 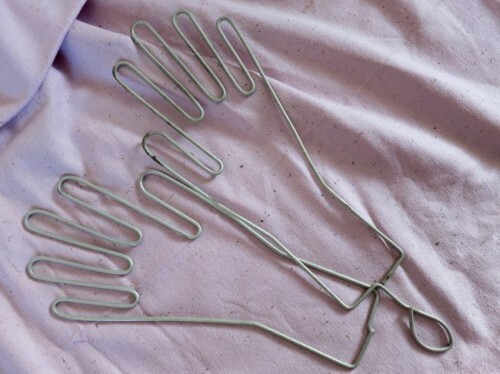 Glove stretchers? Or display stands? Love them! The Glovers Guild. Wonder if it is still in existence? Happy sigh! I love gloves. They are such complex little works of art – I do love the heart-shaped thumb seam on your red ones. Gloves are so much more than just covers for the hands in winter, much as I cherish my fur-lined gloves. It is going to sound silly, but I feel I act differently in gloves. I feel like a lady – a desperately un-pc thing to say these days. I feel like an advertisement. Like lifting up my collar to frame my face, and to rest one immaculately gloved hand, the first two fingers extended, against my cheek in pensive mood. 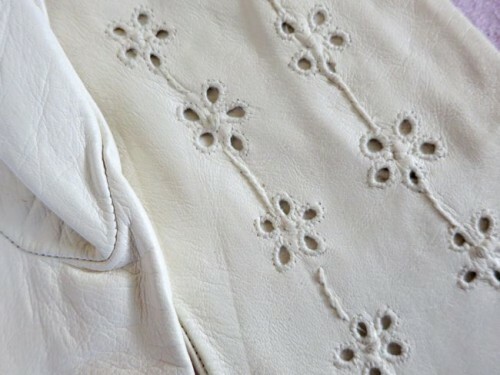 Elizabethan gloves are worth a post on their own. One of my fantasy sewing projects, making a pair of those. Heigh ho! Oh yes–with a cloying hat and eyes that demur. Thanks again for providing a happy home to things that would otherwise be in a box, unused, and unable to be loved as much. 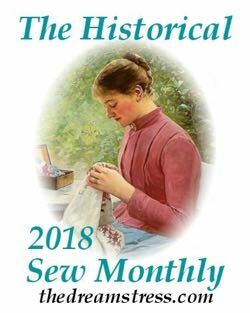 That’s one of my fantasy sewing projects too. I wonder if the wire frame was used for drying/airing the gloves after being worn? 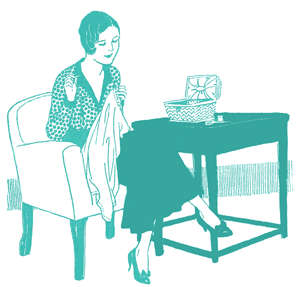 Fabric gloves could just be hung, but the kid would need something to help it keep its shape and allow air to circulate inside. -So unimpressed she was with the west, and travelling around, she lied on her son’s paperwork to get him into school early so that she could find a spot and deal. -Her husband employed many people, and in the 30s, all of them took many paycuts so that no one would be fired. -She trained her two daughters to be concert-ready pianists and vocalists. She starved the family so save up enough money to send the two of them to finishing school in New York, and to embark on music careers–both of them performed, but later married and moved–to her utter disappointment. -She wore a corset every day of her life. -When her daughters’ friends would spend the night, she’d instruct her maid to serve everyone breakfast in bed. -She loved listening to boxing matches on the radio. -I have her to thank for all of my own mother’s behaviors. Wonderful, Elise! She may not have been easy to love, but she sound like one of those indominable battlers one has to respect. Oh, I remember a little more: she walked herself down the aisle (1916), and she found someone with the same last name so that she would have to change names herself, thereby calling herself Viola Wilson Wilson. 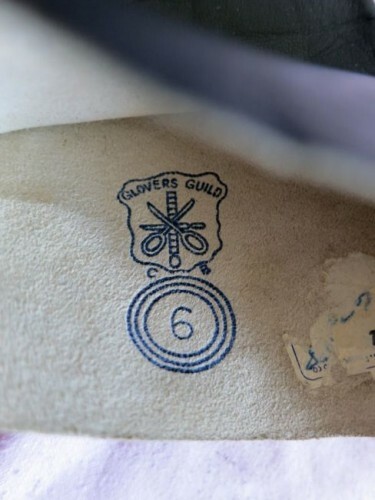 Glovers Guild. It would be nice it it still exists if only because it those words sound so nice together. Love the lacy kid! Whenever I wear gloves, I feel elegant. Aloha! 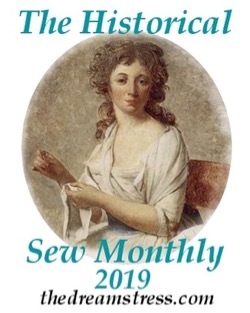 I'm Leimomi Oakes, a textile and fashion historian, sewing teacher, writer, speaker, and a little bit of everything else. 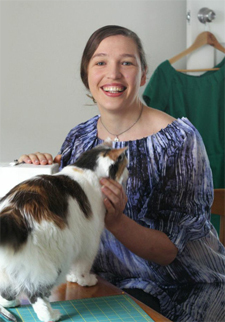 Join me for fashion, history, mad sewentist adventures, and, of course, Felicity the cat! Click to learn more. Copyright © 2015 The Dreamstress. All rights reserved.